Marco Island is a medium-sized coastal city (i.e. on the ocean, a bay, or inlet) located in the state of Florida. With a population of 16,985 people and six constituent neighborhoods, Marco Island is the 148th largest community in Florida. Marco Island is a decidedly white-collar city, with fully 86.29% of the workforce employed in white-collar jobs, well above the national average. Overall, Marco Island is a city of sales and office workers, service providers and managers. There are especially a lot of people living in Marco Island who work in management occupations (15.80%), sales jobs (15.11%) and office and administrative support (10.48%). One interesting thing about the economy is that relatively large numbers of people worked from their home: 10.64% of the workforce. While this number may seem small overall, as a fraction of the total workforce this is high compared to the rest of the county. These workers are often telecommuters who work in knowledge-based, white-collar professions. For example, Silicon Valley has large numbers of people who telecommute. Other at-home workers may be self-employed people who operate small businesses out of their homes. Another notable thing is that Marco Island is a major vacation destination. Much of the city’s population is seasonal: many people own second homes and only live there part-time, during the vacation season. The effect on the local economy is that many of the businesses are dependent on tourist dollars, and may operate only during the high season. As the vacation season ends, Marco Island’s population drops significantly, such that year-round residents will notice that the city is a much quieter place to live. Seniors make up 46.67% of Marco Island’s population, making it a popular place to retire. Because of the prominence of the retirement community, Marco Island is good place for those over 65 to settle, as they will find many opportunities for socializing, as well as having access to many services oriented toward seniors. It is a fairly quiet city because there are relatively few of those groups of people who have a tendency to be noisy. (Children, for example, often can’t help themselves from being noisy, and being parents ourselves, we know!) Marco Island has relatively few families with children living at home, and is quieter because of it. Renters and college students, for their own reasons, can also be noisy. Marco Island has few renters and college students. But the biggest reason it is quieter in Marco Island than in most places in America, is that there are just simply fewer people living here. If you think trees make good neighbors, Marco Island may be for you. 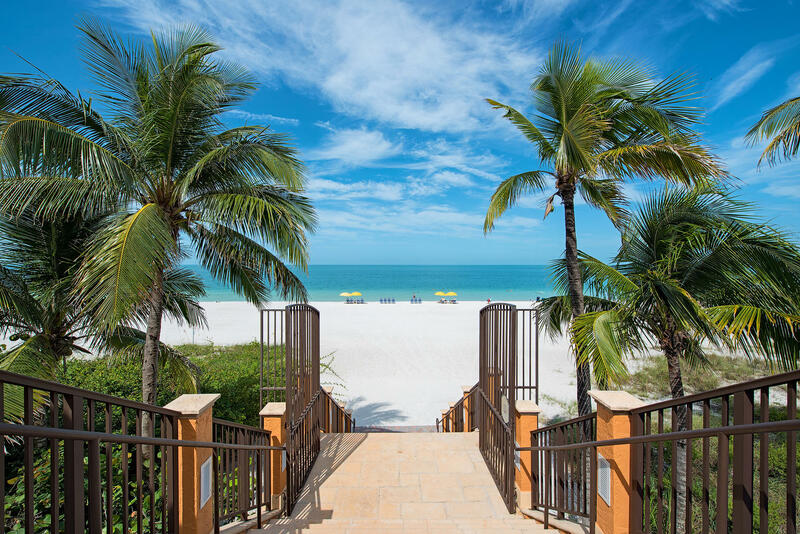 Marco Island is also nautical, which means that parts of it are somewhat historic and touch the ocean or tidal bodies of water, such as inlets and bays. Quite often, nautical areas such as these attract visitors and locals who come to enjoy the scenery and various waterfront activities. Compared to the rest of the country, citizens of Marco Island spend much less time in their cars: on average, their commute to work is only 16.48 minutes. This also means that noise and pollution levels in the city are less than they would otherwise be. As is often the case in a small city, Marco Island doesn’t have a public transportation system that people use for their commute. Marco Island is one of the most well-educated cities in the nation. 44.01% of adults in Marco Island have at least a bachelor’s degree. Compare that to the average community in America, which has just 21.84% with a bachelor’s degree or higher. The per capita income in Marco Island in 2010 was $59,077, which is wealthy relative to Florida and the nation. This equates to an annual income of $236,308 for a family of four. However, Marco Island contains both very wealthy and poor people as well. The people who call Marco Island home describe themselves as belonging to a variety of racial and ethnic groups. The greatest number of Marco Island residents report their race to be White, followed by Asian. Important ancestries of people in Marco Island include German, Irish, English, Italian and Polish.